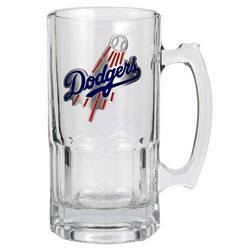 Los Angeles Dodgers 1 Liter Macho Mug is one of the largest glass mugs available. Show your team spirit by drinking out of this 32oz Macho Mug decorated with a hand-crafted metal team logo. Framed Sizes : (L)3.5", (W)3.5", (H)7"